Kid A will always be cited as the more important album, for it was the first one bearing Radiohead's stylistic shift to chilly electronics. And there can be only one first. 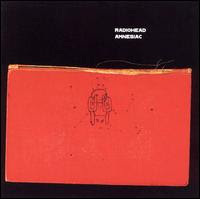 But the overlooked jewel of Radiohead's '00s output was Amnesiac, Kid A's snakier, arcane cousin, which dropped only months before 9/11, and whose cryptic messages we digested during those anxious times. "Pyramid Song" wafted out with Thom Yorke's eerie oooos, somehow eternal. Like sand. "Knives Out" belied its jazzy tempo, a sunken-faced rogue of a song beneath. The somber sighs of brass and chirruping clarinets of "Life in a Glasshouse" harked back to the 1930s, and its reference to lynching swung a pointer to Billie Holiday's "Strange Fruit" as a possible ancestor. On the more technological side, "Like Spinning Plates" gasped, with Yorke's vocals threatening to splinter under strain. Going further, there was no voice at all in "Hunting Bears," two haunting passages of Jonny Greenwood's electric guitar. Played twice over a nodding synth and faded out. "I Might Be Wrong" lathed its synth drone while the blunted drum pops and rhythm guitar wriggled forward and snapped back, like limbs removed from a body but still psychically attached. And of course there was the limited-edition packaging (which can also be seen on the album's cover): a frayed red hardcover book suggesting secrets it could not reveal. Before Apple. Before Gwyneth. Before all those Make Trade Fair gestures. 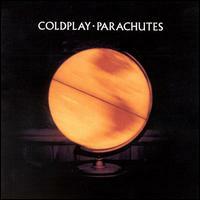 Chris Martin was just a student playing with Will Champion, Jonny Buckland and Guy Berryman, unconsciously exploring his vulnerability as he sang a paean to a woman ("Yellow"), wished she would notice him ("Shiver"), and longed, in one respect or another, for connection. He was someone more like us. "Trouble" starts out with stately piano and a confident guitar riff, but then, like anxiety creeping up, they fade out, and in comes Martin's opening: "Oh, no / I see / a spider web is tangled up with me." 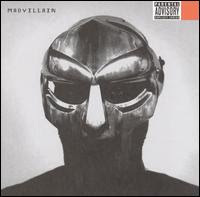 This idea of being trapped also comes up on "High Speed" ("We been living life inside a bubble"), and the dour, largely acoustic "We Never Change" sees him stuck repeating his mistakes, unable to move forward and achieve what he wishes. "Don't panic," that hoary air of reassurance, seems like something Martin would have heard a few times amid his fretfulness, and "Don't Panic" bookends with "Everything's Not Lost," the album's last track. While "Everything's Not Lost" bursts with jubilance, having made it to the light at the end of the proverbial tunnel, "Don't Panic" finds Martin with a chorus of "We live in a beautiful world." He sings it with something less than certainty: He sings it as if trying to convince himself it's true. There's a scene in the movie "Adventureland" where the main character, a highbrow college grad stuck doing summer work at a carnival, introduces his foxy co-worker to his "bummer tape." "These are my favorite bummer songs," he tells her. "They're truly miserable, pit-of-despair-type songs. I think you'll love it." Later on, when they're in her car, she plays it. As they drive, the cassette fills the space between them as he stares at her, needing her. They stop by a bridge in Pittsburgh, where he overtakes her with an intense kiss. But the relationship they embark on is not an easy one. 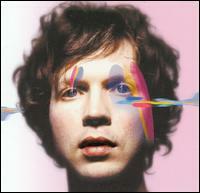 In 2002, after nine years together, Beck Hansen and his longtime girlfriend split up. In his wreckage, the stylistic vagabond became a bard of the brokenhearted. He strums in a shell-shocked funk on Sea Change, an apt description of his retreat from the whirling, fluorescent Jell-O shots atmosphere of 1999's Midnite Vultures. Sea Change is a part of Beck's chameleon cloak, and with Midnite Vultures preceding it, the albums must've looked like a bipolar breakdown. Seen another way, Midnite Vultures fits the giddy, carefree highs of stock market euphoria, and Sea Change is the burst bubble, the goo running out. It's an album of resignation ("I'm tired of fighting / tired of fighting / fighting for a lost cause"), wounded confessions ("It's nothing that I haven't seen before / but it still kills me, like it did before") and crippled composure ("'Cause it feels like I'm watching something dyyyyyyin'"). There's even the emotional scavenging of "Round the Bend," in which he achieves an eerie Nick Drake-level of desolation, the strings curling and eddying like wind pushing fog over a moor. Naturally, he'd do a 180 again, but this was his moment alone, outside. Adrift. This was his bummer tape. Though its ubiquity after the 2003 Grammys spawned a backlash that exists to this day --- that of deriding Norah Jones' music as bland or corporate or insignificant --- Come Away With Me, if anything, puts the lie to all those charges. It's undeniably significant in terms of sales and awards, and it likewise rocketed Jones from obscurity, changing her life and basically giving her a blank check as to her artistic career. But let's not get too technical. 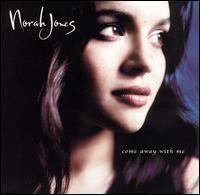 Come Away With Me showcases Jones' tremendous appeal as a singer, and it introduces us to her fruitful collaboration with guitarist and songwriter Jesse Harris, which resulted in her best-known song, "Don't Know Why," along with almost half the album's originals. The covers, no less significant, show her to be adept at assimilating country ("Cold Cold Heart") and FDR-era pop ("The Nearness of You"). She's so cozy with the material that her take on J.D. Loudermilk's "Turn Me On" (which she may have heard by way of Nina Simone), from the '60s, and the Carmichael-Washington composition "The Nearness of You," from the '30s, don't feel like dusty relics. There's no stiffness or uncertainty in her delivery, only a deep love and understanding of the music, which she internalizes and passes on to us in her warm, maple syrup tones. It's with some chagrin that I return, slinking in with my best-of-the-decade picks when we're already a year into, well, whatever this post-aughts decade ends up being called. On the upside, I haven't felt any regrets about these best-of picks, so they have already stood the test of time. I'd like to say I'll be posting more reviews soon after this list, but my job situation changed last year and has been contributing to my shiftlessness. So, if you see a long gap in my publishing, check back, but don't check back as often.